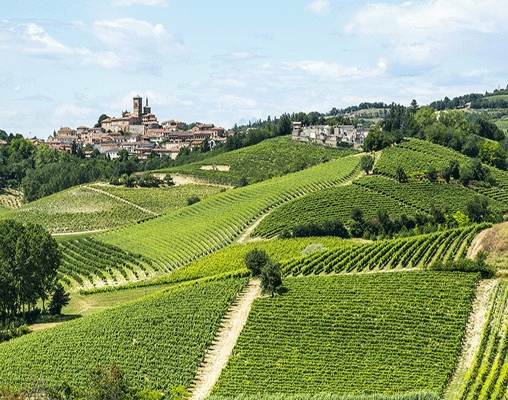 We cross Lake Maggiore to explore the Borromean Islands, taste the wines of the Monferrato region, visit enchanting Lake Orta and travel into Switzerland on the scenic Centovalli Railway. 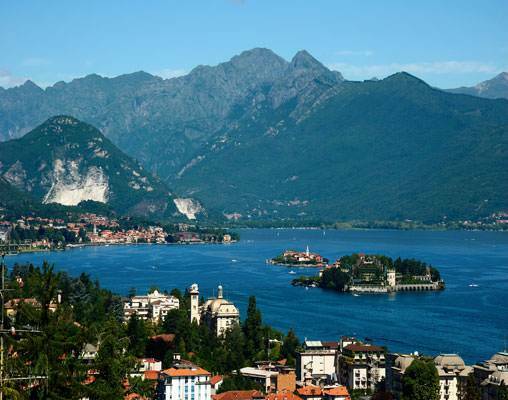 From our stunning location overlooking beautiful Lake Maggiore in the picturesque town of Stresa, we explore this magnificent region of Italy. 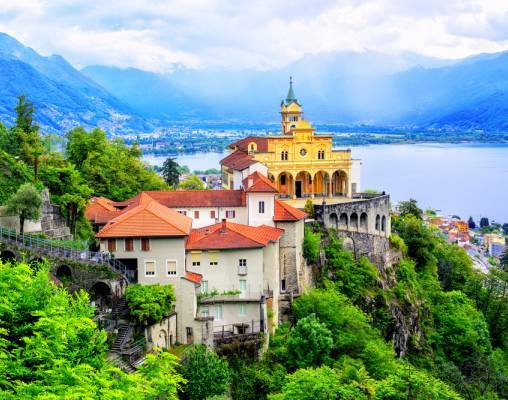 We cross Lake Maggiore to explore the Borromean Islands, taste the wines of the Monferrato region, visit enchanting Lake Orta and travel into Switzerland on the scenic Centovalli Railroad. We meet our group and Tour Manager at the exclusive Departure Office in St Pancras International before boarding the Eurostar for Paris, traveling in Standard Premier Class. We arrive into Paris where we spend the night. Your evening is free to explore the wonderful French capital city and to dine out in one of the many restaurants close to the hotel. One of the finest hotels in Stresa, the 4-Star Hotel Regina Palace was built in the 'Belle Epoque' era. 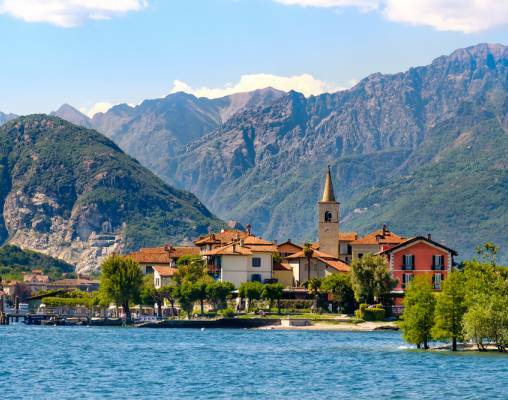 The hotel occupies a commanding position on the lakeside, yet is just a few minutes' walk from the narrow streets of the town. Beautifully appointed throughout, its public areas are stylish, none more so than the elegant restaurant. The hotel boasts a large pool and fitness facilities and has extensive gardens with the opportunity to eat outdoors in summer. All rooms have a jacuzzi, television, safe and minibar. Many rooms offer a lake view. 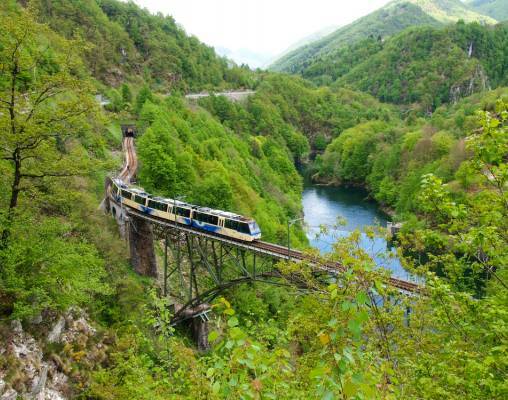 The Centovalli Railroad was originally planned to connect Locarno in the Italian-speaking region of Switzerland with Domodossola in the very north of Italy. The line's opening was delayed considerably owing to the First World War, but construction was resumed almost immediately afterwards and the first services began in 1923. The high speed Eurostar trains link St Pancras International in London with Paris and Lille in France as well as Brussels in Belgium. Eurostar's Standard Class coaches feature two seats on either side of the central aisle, most of which is arranged in an 'airline' seating configuration with drop down tray tables. There are two tables for four per carriage. Passengers traveling in Eurostar Standard Class coaches can take advantage of the Bar-Buffet which sells a range of snacks, meals, hot and cold drinks - including Champagne! Introduced in 1981, France's TGV (Train à Grande Vitesse) was the original European high-speed train. Linking Paris with Lyon, the new service revolutionised train travel and meant that traveling by air over medium and short distances was no longer seen as the best option, even for business travel. 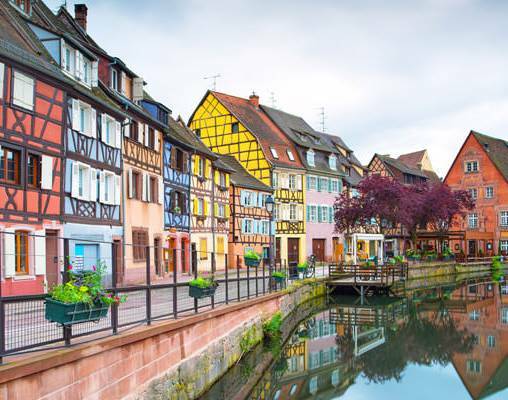 The network has expanded rapidly and today these sleek, stylish trains offer links to over 60 destinations throughout France. Operated by SNCF, the French national rail operator, TGV trains travel over specially-constructed high speed lines. The trains can achieve speeds of up to 186mph (300km/h) on most long distance routes and 200mph (320km/h) on the new TGV Est line, which links Paris with Strasbourg, Luxembourg and Basel. With the exception of shorter journeys, TGVs almost always have an on-board buffet car, serving a selection of drinks and light refreshments. 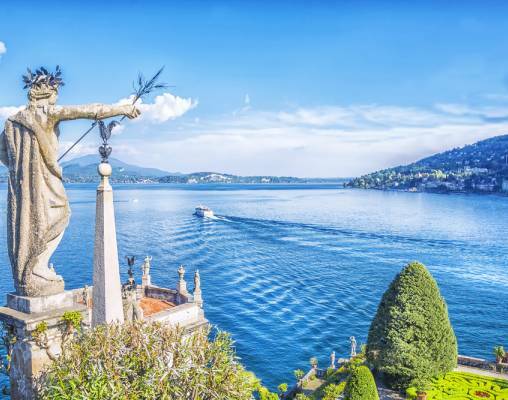 Enter your details below if you would like to be notified when 2020 dates and prices are available for Stresa & Lake Maggiore.